First tie a knot around the foam wreath. Then begins the wrapping… and wrapping and wrapping :) Just like in the above photos. Decide what size you would like your flowers. For the medium flowers I use a medium sized bowl and trace a perfect circle. (for large you can use a large plate, bowl or like me, use a large embroidery hoop ;)) So, trace, cut out your circles and then make a spiral cut. Your next step is to roll the rosette. I actually clip the smallest tip down a bit because it’s easier to roll that way. Then you roll it inward from the tiny tip to the wider end. Then you glue. 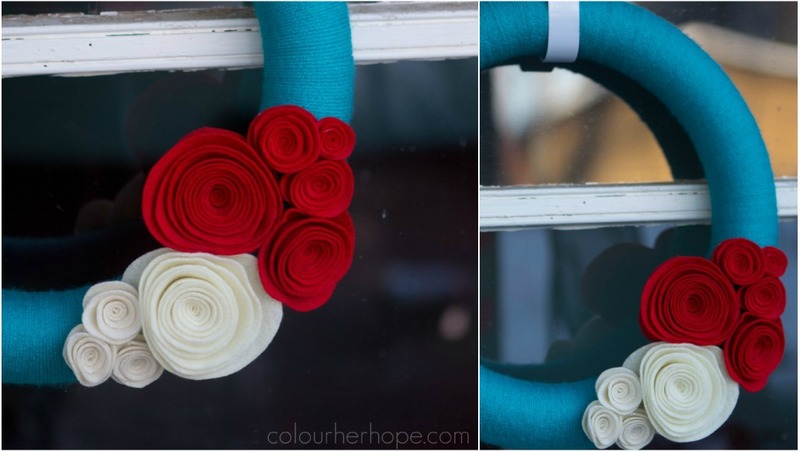 Glue the flowers onto the wreath. 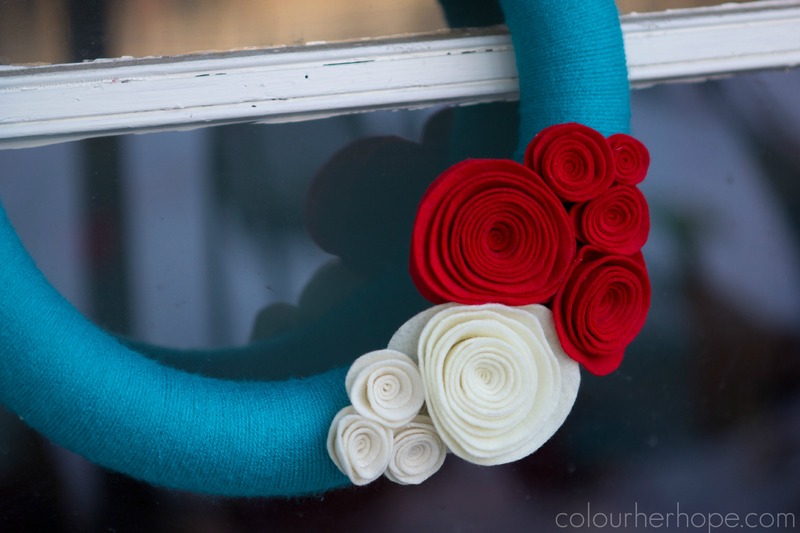 I first lay the flowers onto the wreath to decide placement and then carefully glue them on. So there you have it. 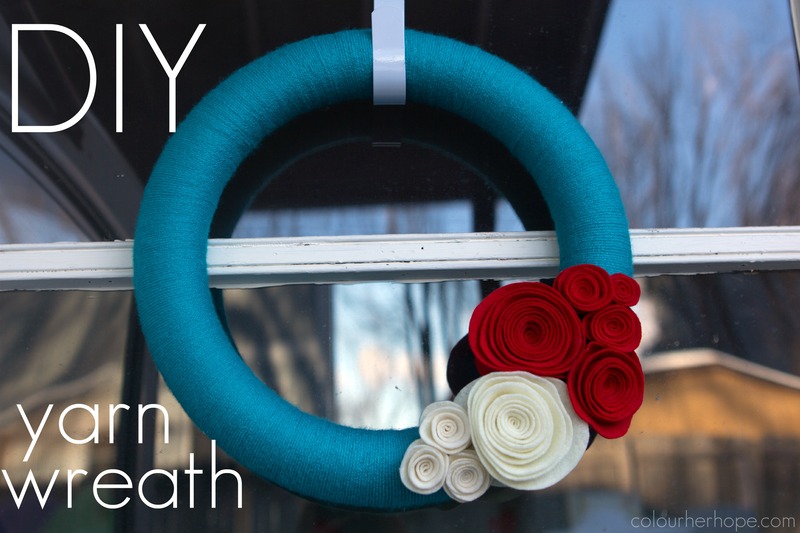 A yarn wreath! 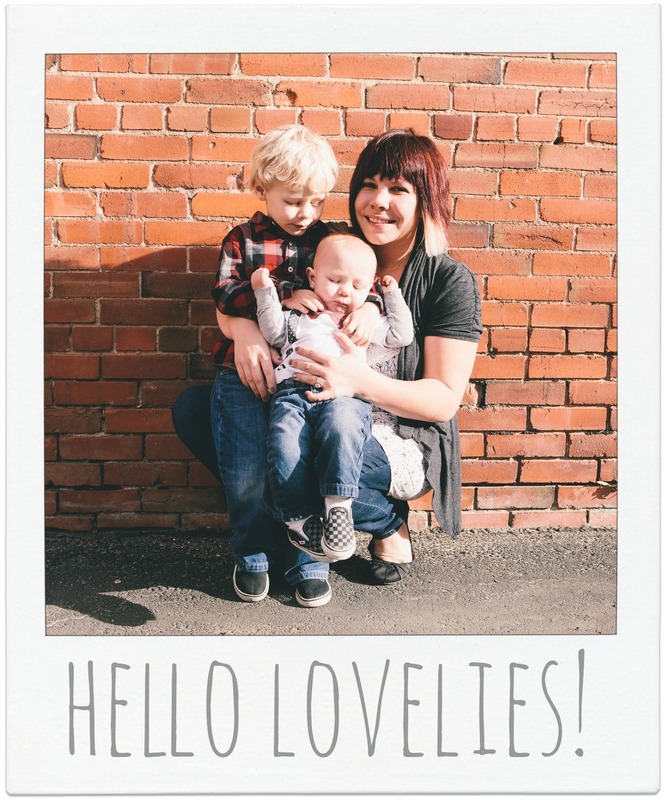 Hope you’re inspired to create! Jami, i want to make one soon. 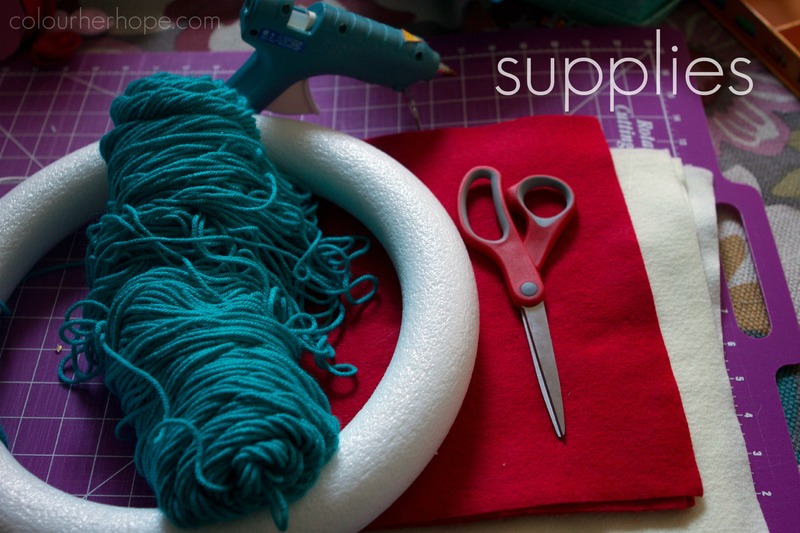 Maybe on friday when you are sewing? 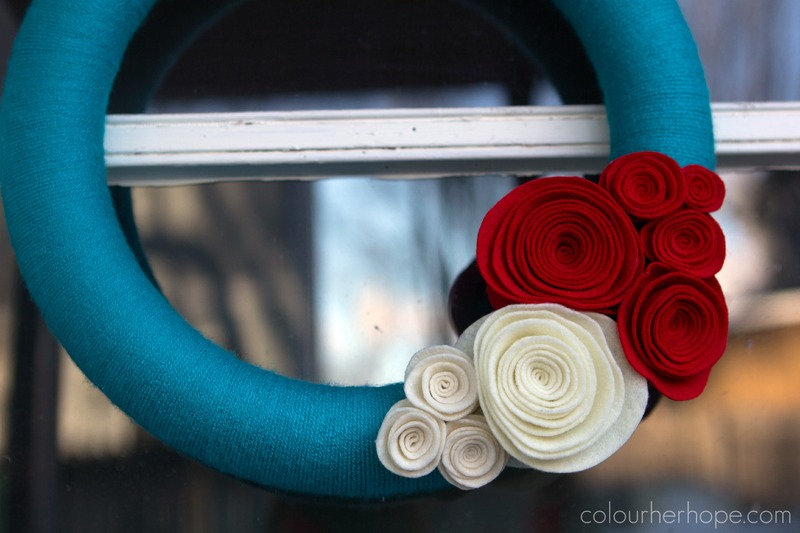 How many sheets of felt should i get for a larger wreath?